Introducing the 2018 Outer Reef 700 LRMY—a yacht that puts the custom in semi-custom. Many builders that tout their “semi-custom” construction process allow for choices in wood finishes, fabrics, furniture components and perhaps some general layout options. 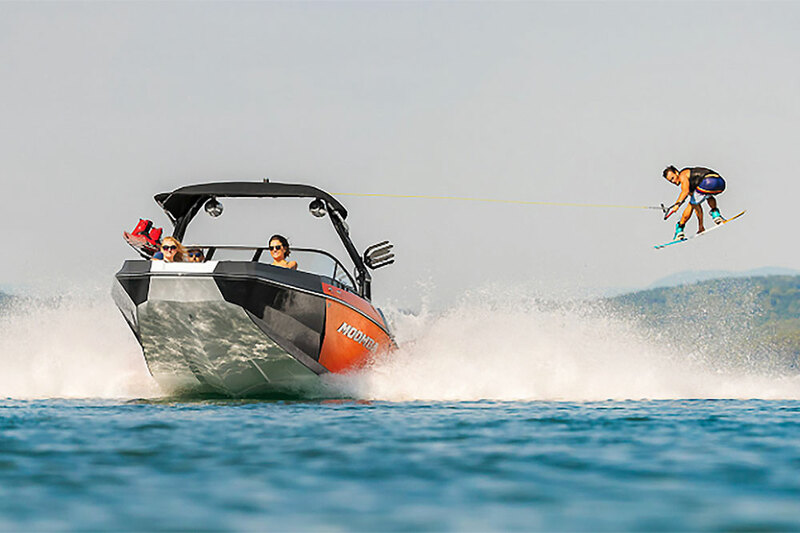 While that’s a nice way to personalize a production boat, a truly semi-custom build like the Outer Reef 700 LRMY takes the meaning of that term to a whole new level. The Outer Reef 700 is really a stretched 65 but what a difference five feet make. With the expansion came things such as better access to crew quarters and a roomier aft cockpit and saloon (these gained two and three feet respectively) not to mention the extra waterline length that adds to the vessel’s fuel efficiency. 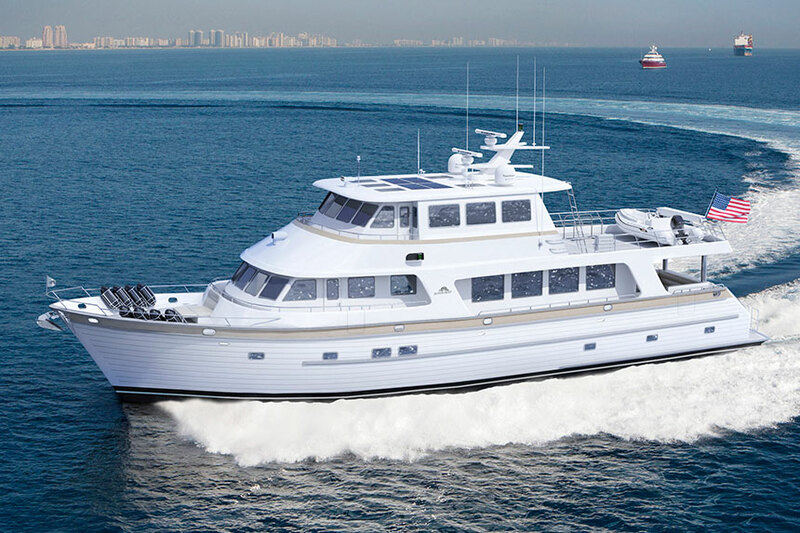 Powered by twin CAT 9 503 HP diesels (upgradable to C18s) with ZF 360A transmissions, the 140,000-pound OR 700 cruises at around nine knots at 1500 rpm where she burns 4-5 gph per engine. She’ll go 13 knots but that’s when the dollars fly right out of the gas tank so it’s best to slow down and perhaps reach a 3,000 nm range with the 2,000 gallons of onboard fuel. 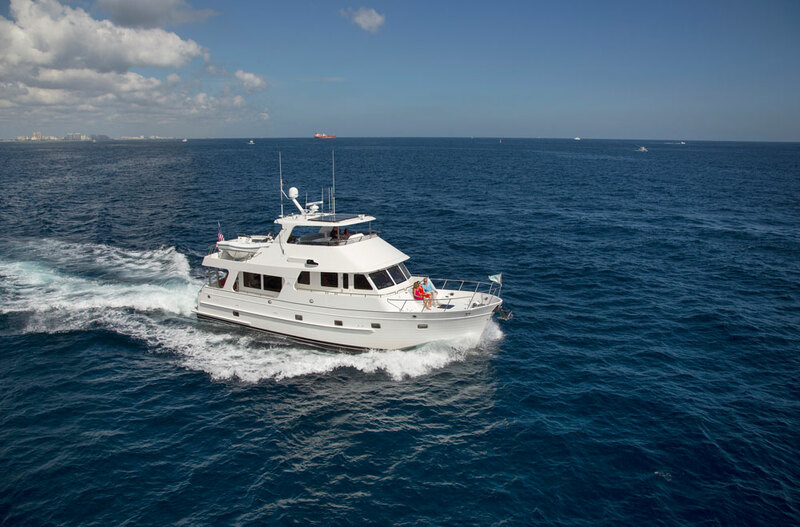 Step inside on the main deck and your gaze will be stretched the full length of the saloon through the raised galley and all the way to the pilothouse and the windshield. The effect is impressive as the boat seems much longer than her 70 feet. Outer Reef clientele expects exceptional attention to detail and no one ever seems to be disappointed. 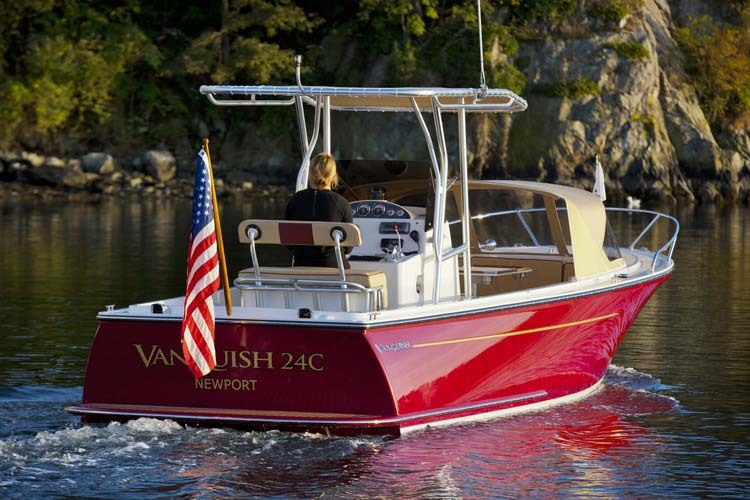 Engines and generators are soft mounted to reduce vibration as does the underwater exhaust. The fully enclosed shaft drive system reduces drag and increases efficiency as well as providing protection for the running gear. Dual anchors in twin chutes with separate hydraulic windlasses ensure easy mooring with a built-in backup. The Portuguese bridge that wraps around the pilothouse windows lets crew move around the outside front of the boat without needing to down onto the foredeck where it may be wet and slippery in rough weather. The electronics mast on the flybridge is hinged for low bridge clearances. And of course, no discussion about an Outer Reef would be complete without a nod to the interior joinery, creative use of lighting and a thorough understanding of how a boat is really used on a passage. 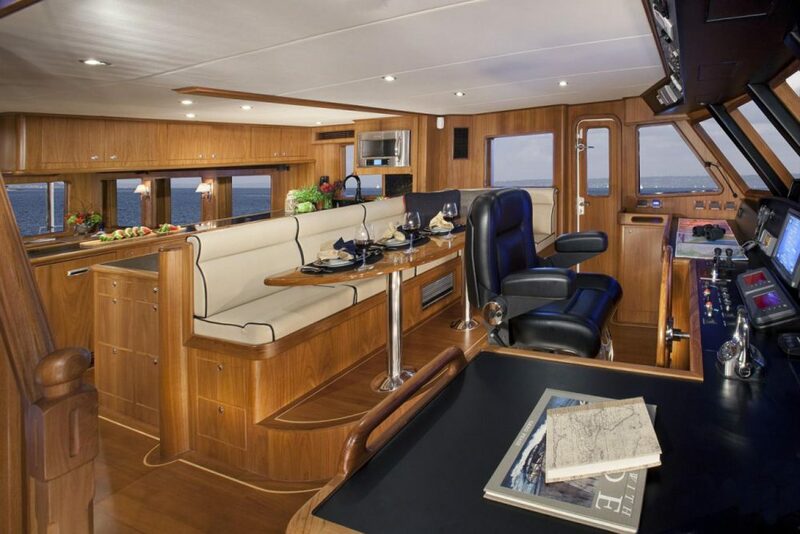 For example, the granite-clad galley is centered on the long main deck, able to serve both those in the pilothouse and the saloon. Under way at night however, when the captain needs to preserve her night vision, a partition divides the functioning part of the boat from the entertaining part. Smart. The flybridge deck is accessed via an aft staircase from the cockpit or from the pilothouse inside. From here, visibility down to the bow from the twin Stidd chairs is excellent for the captain and her mate but others can join in because just aft, and still on the elevated part of the deck, there are corner settees with teak tables both port and starboard. Here, the flybridge galley module contains a refrigerator, icemaker, grill and sink so no one ever has to leave the party or the incredible view from here. The vast acreage on this upper deck has room for a 13-foot tender managed by a 1,700-pound davit and plenty of additional water toys as well. 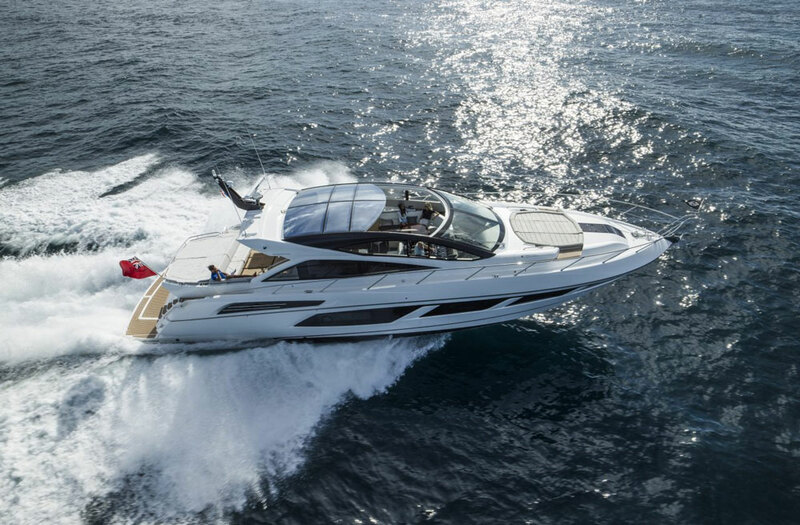 The Outer Reef 700 can be operated by the owner, or captained by one to four crew members. 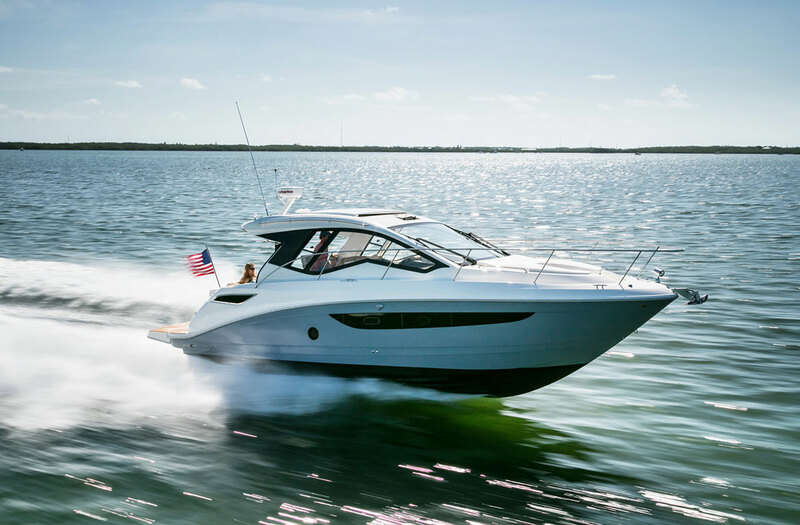 When it’s time to drive from the inside, the lower helm and its low profile dash holds a variety of Furuno navigation electronics (usually three large displays), at least two VHF radios, CAT engine displays, bow and stern thruster controls, and more. Watertight doors on either side ensure the captain can step directly out to the side decks to help manage lines and have better sightlines down to the dock. 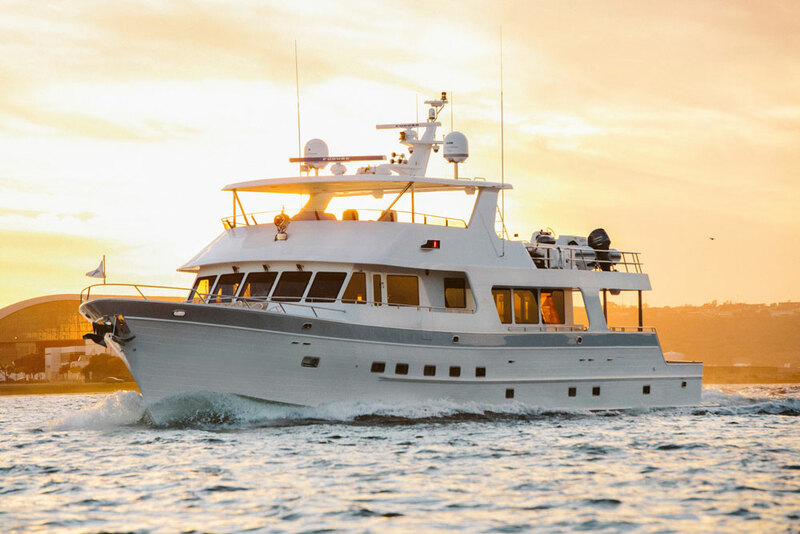 The Outer Reef 700 can be owner operated or assisted by one to four crew. A double crew stateroom is aft of the engine room and another optional over/under bunkroom can be built in place of a large lazarette. The additional five feet added an interior stairwell for crew so they don’t have to access their quarters via the transom, which can be dangerous under way plus they have their own head and small galley. The three staterooms on the lower deck remain much as they were on the 65 with a VIP in the forepeak, a second double cabin to port and the master stateroom with an king sized berth amidships. The luxurious owner’s accommodations include an en suite head with a full shower stall, a 32-inch TV and loads of stowage space. It would not be tough duty to be an owner of a 700. The Outer Reef 700 LRMY is not a new model. 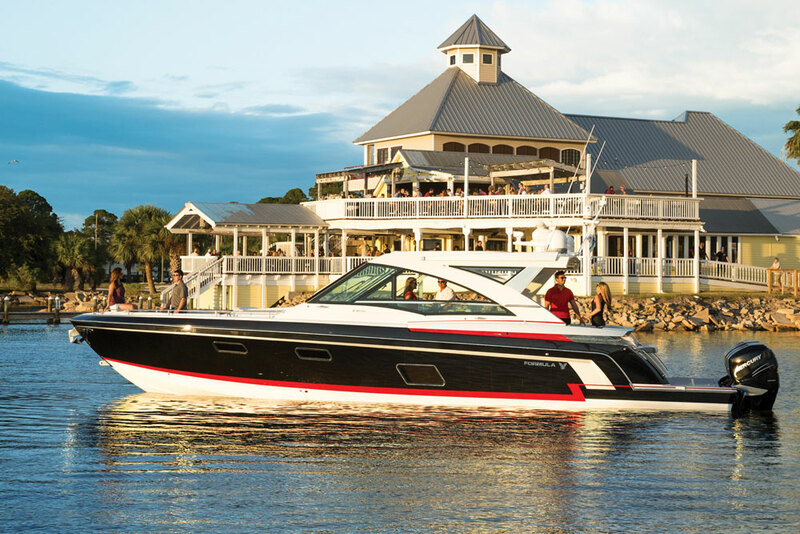 In fact, the first hull splashed over five years ago, but due to the extensive customization, no two are alike and each model seems almost like a one-off. We visited the newest, Ana Luisa, and were ready to sign up for a voyage—even as crew.